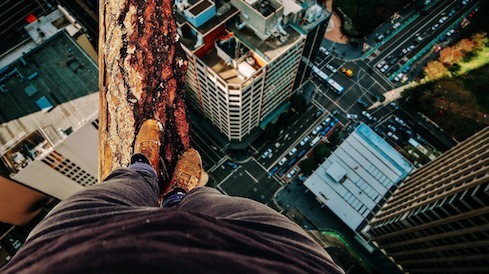 "Managing risk is one of the most, if not the most important, functions in an organization," says Tony Martin-Vegue, enterprise security management strategist for LendingClub, a peer-to-peer lending company based in San Francisco. "It's really important to have a structured, formalized process for measuring risk, managing risk, and the entire remediation process." If a formal process is the best way to assess and manage risk, then what sort of process should an organization use? "The most commonly used risk model is the mental model of the person waving their wet finger in the air," says Jack Jones, executive vice president of research and development at RiskLens and chairman of the FAIR Institute. "And mental models are notoriously flawed," he says. The reliance on flawed mental models is one of the many reasons Jones says that the IT industry is horrible at properly assessing risk. How does an organization go about finding a better model and using it to figure out what their risk is? There are a number of options, from NIST SP 800-30 to aspreadsheet-based model that can be found from a wide variety of sources with a quick Google search to FAIR — Factor Analysis of Information Risk. Large organizations will have teams dedicated to assessing and re-assessing risk on a regular basis. Small organizations may lack the team, but they will not lack the need to understand what risks IT faces and how those risks are reflected in the rest of the business units. "I don't feel any organization can even begin to think about what it wants to do from an information security perspective without making some proper attempt at being able to understand the risks that matter most to their organization," says Zulfikar Ramzan, CTO of RSA. "I don't want this to be confused with 'expensive' or 'complex' or, you know, beyond the scope of what I think even a small- to medium-sized organization can do," he explains. "What I really mean here is try to be a bit principled trying to look at it and get a more quantitative assessment." Getting started on this quantitative path can be confusing, so Dark Reading researched the major frameworks and spoke with Jones, Martin-Vegue, and Ramzan to get their ideas on best initial steps. We found seven steps that apply to a variety of frameworks — and that are applicable no matter where the process takes your organization.